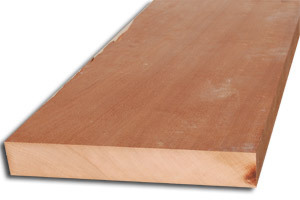 Makore or African Cherry is currently on stocked in lumber. We can special order veneer and plywood. Makore can be used for all sorts of things from, furniture to decorative jewelry boxes or used for intarsia wood art.